Manufacturer of a wide range of products which include mini 2 thin frame silver - balkrishna and mini 2 thin frame - ganesh silver. 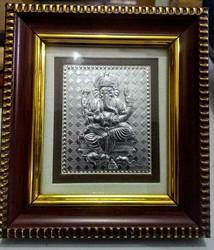 Silver colored foil embossed Pictures size 2x2.5 inch is frames with outer size 3.75x4.25 inch. 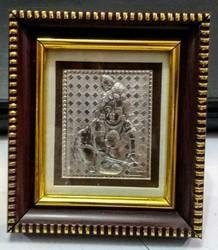 Looking for Silver Foil God Frames ?